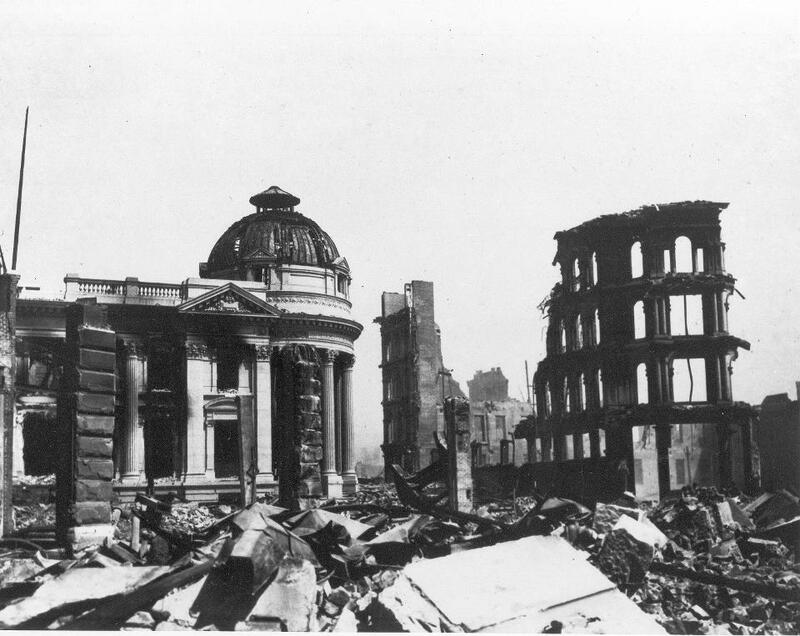 The earthquake that devastated San Francisco in 1906 may still be able to help us better understand future quakes. Over a century later, the marks it left on the coastal and offshore landscape of northern California may offer some clues about what might happen when the fault ruptures again. A recent survey of a 35-kilometer (21.7-mile) stretch of the Northern San Andreas fault revealed new details about a little-known part of the fault that runs along the California coast where two massive slabs of Earth’s crust, the North American plate and the Pacific plate, are slowly grinding past each other. With a combination of bathymetry (a technique that uses sound waves to measure the depth of water and the shape of the seafloor) and seismic reflection (which uses changes in how different rocks reflect sound waves to create an “image” of underground rock layers), Samuel Johnson of the U.S. Geological Survey and Jeffrey Beeson of Fugro USA Marine Inc. learned more about how ground movement during the 1906 quake affected the coast and the seafloor. They also discovered that there are two closely-spaced parallel fault lines, or strands, along that stretch of the San Andreas. A fault usually isn’t just one crack in the Earth’s crust; usually faults are systems or networks of cracks, and Johnson and Beeson say it’s important to understand those systems in detail in order to predict how the whole system might behave when the fault slips or ruptures. Both strands have moved several tens of meters over the last 10,000 years, according to the study published in the Bulletin of the Seismological Society of America. The findings don’t change any predictions about how often a San Andreas quake might happen, or when the next one might come, but they might help seismologists make better models of what might happen in the area when an earthquake happens. That, in turn, could eventually lead to better hazard predictions and disaster planning, which could save lives. Another recent study used a photograph of a train knocked off its tracks by the quake to help model how the ground moved near Point Reyes Station, north of San Francisco, which may also help contribute to better disaster planning. When we think about the 1906 earthquake today, we picture the destruction in San Francisco, or maybe the outbreak of bubonic plague that followed a few months later, but the earthquake reshaped the shoreline and the seafloor all along the northern Californian coast. The sudden shifting of the two continental plates lifted the ground to the west of the fault, which blocked sediments from drifting southward along the coast from the Russian River and Salmon creek; instead, all that sand started to pile up into the South Salmon Creek beach and its line of high sand dunes. Offshore, two broad swaths of the seafloor reveal places where the earth’s shaking caused the sand on the seafloor to lose its strength and behave like a liquid, collapsing under the pressure. Those remnants of the century-old disaster are ephemeral by geological standards, already being smoothed and covered by sediment. “If you came back in another 50 to 100 years, you might not see these features because they would be all covered up,” said Johnson in a press release. This article was written by Kiona N. Smith from Forbes and was legally licensed through the NewsCred publisher network. Please direct all licensing questions to legal@newscred.com.